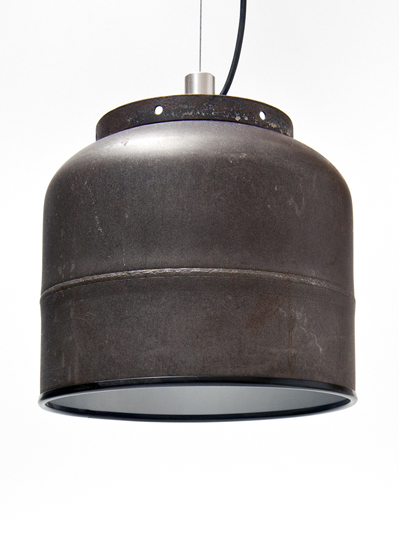 The BOMBA collection is inspired by and made from decommissioned propane tanks. Destined for smelting, these tanks have been intercepted and reimagined into pieces far from their original use. The BOMBA RAW STEEL pendant lamp is made from a hand selected propane tank that is topped with a custom aluminium collar and is securly suspended by an aircraft cable. 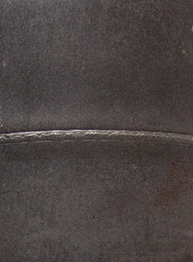 Each piece has been sandblasted down to the RAW STEEL and hand weathered — covered with unique markings it is available in one style. 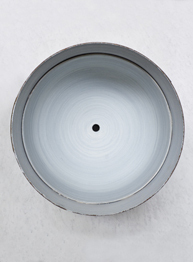 The inside is hand painted white and features a high quality heavy duty porcelain bulb socket. Dimensions: ø300mm x H.292mm - ø12" x H.11.5"